jBPM6 provides various predefined strategies for handling knowledge sessions. An simple example using singleton strategy is shown in https://community.jboss.org/people/bpmn2user/blog/2014/01/14/jbpm6--angularuing-grid-web-example. 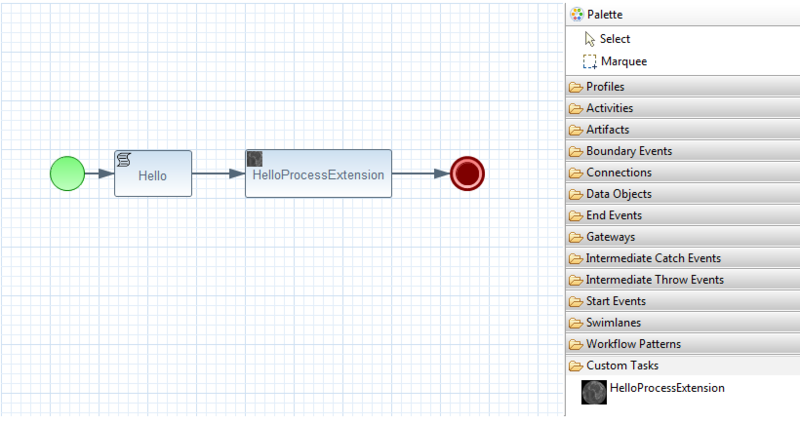 It uses a single knowledge session to execute all the process instances. 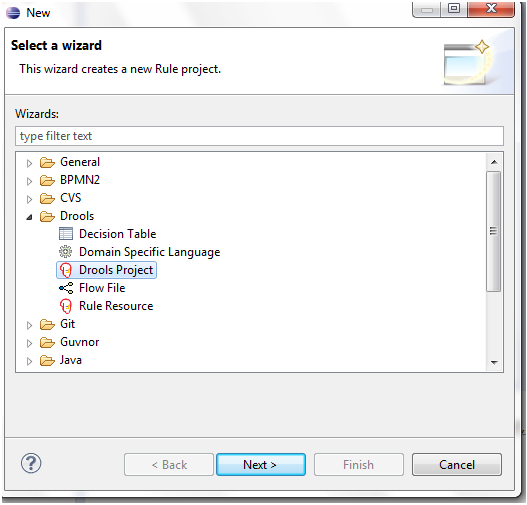 A different strategy ‘PerRequestRequestManager’ is used in this blog. This approach creates a new knowledge session for each request. 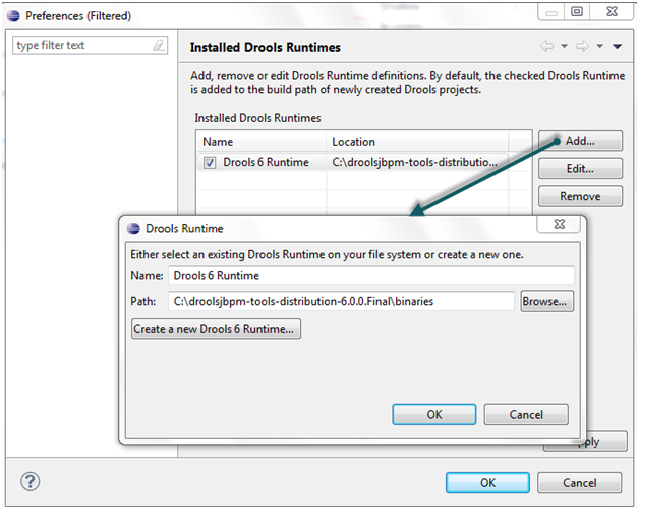 RuntimeManager is craeted using the strategy 'PerRequestRuntimeManager' as shown below. A knowledge session is created for each request for performing various tasks such as process create, query and approve etc. A simple JBPM6 web example using ng-grid component of Angular UI is shown in JBPM6 - AngularUI/ng-grid Web Example. This blog shows another Angular UI component, ui.bootstrap.modal, for creating modal windows. Modal window requires users to interact with it before returning to the parent window. In this example, when user clicks on 'Work on Task' button, the task details are presented in a modal window. $modal service has only one method open. In open method provide templateUrl, the path to the template that represents modal's, i.e., task data, content. 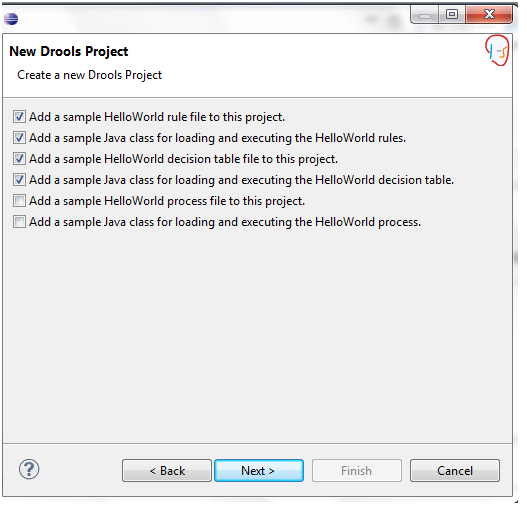 Provide the controller for the modal instance to initialize the scope used by modal. It also needs a resolve method to resolve and pass the members to controller as locals. 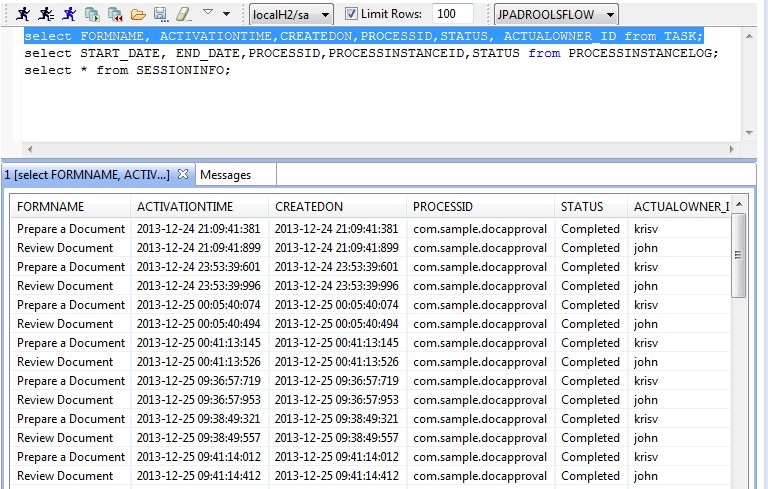 In the NGModalInstanceCtrl method invoke the RESTFul service call to complete the task using the retrieved parameters. 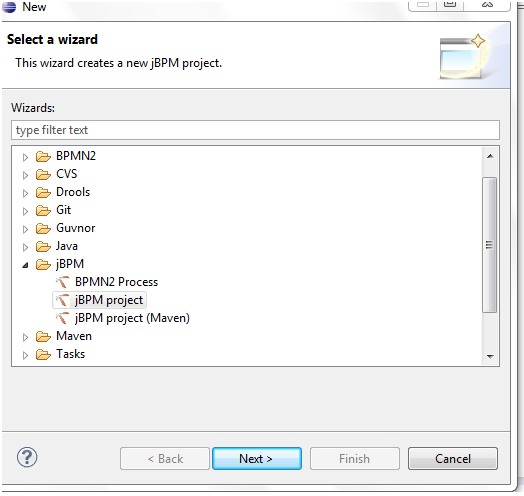 JBPM 6 provides new improved user interface using UberFire. It can also be used as a an embedded workflow engine in application and one can have UI based on various technologies (e.g.,GWT, JSF, HTML5, .Net etc) where the UI can communicate with workflow engine using jBPM API. 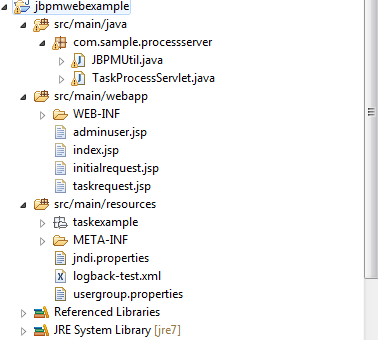 A simple jBPM web example is shown jBPM6 - Tomcat 7 - Web Example using jsp/servlets. This blog provides a different UI (Angular JS and Bootstrap) approach considering the same example shown in jBPM6 - Tomcat 7 - Web Example. Angular JS augments browser based applications with model-view-controller (MVC) capability and Bootstrap, a popular responsive design framework, provides various HTML and CSS based design templates for forms, buttons and various navigation components. Please refer to http://getbootstrap.com/ and http://angularjs.org/ for documentation and examples. Model: The data that comes from the REST API in JSON format. View: HTML that has various Angular directives and Bootstrap templates. Controller and custom services: Perform the necessary REST API queries against the JBPM engine deployed on a server and put the required data into $scope for View. 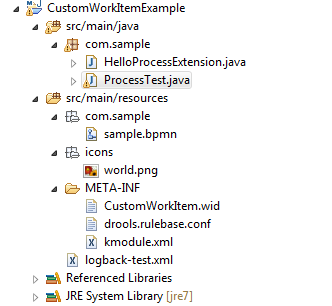 Following directory shows various files in the sample project. BPMRestService.java provides the necessary REST API that can be used from Angular JS controller or service. ServletBPMNContext.java is Servlet listener class to start H2 database and create the Runtime Manager using Singleton strategy. Partials folder has html files for views and js folder has router, controller and service Java script files. The first step in making this example run using Angular JS framework is to create RESTful API for the jBPM tasks, e.g., process create, request tasks etc. 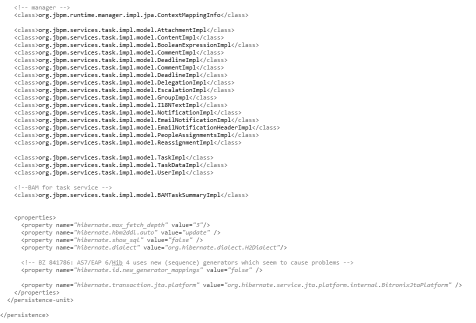 This example uses Jersey framework to provide REST API for all the necessary logic provided the jsp/servlets. For example, following method ( in BPMRestService.java) exposes RESTful webservice for the tasks for a given user and the data is transferred in JSON format. Following method in Angular JS controller (controller.js) retrieves the data and binds the data to $scope variable taskresults. Then the task data is rendered in the view (usertasks.html) using the following Angular directive ng-repeat and Bootstrap. How to deploy the application? Create the war file (e.g., mvn install or mvn pacakage) and deploy in Tomcat. 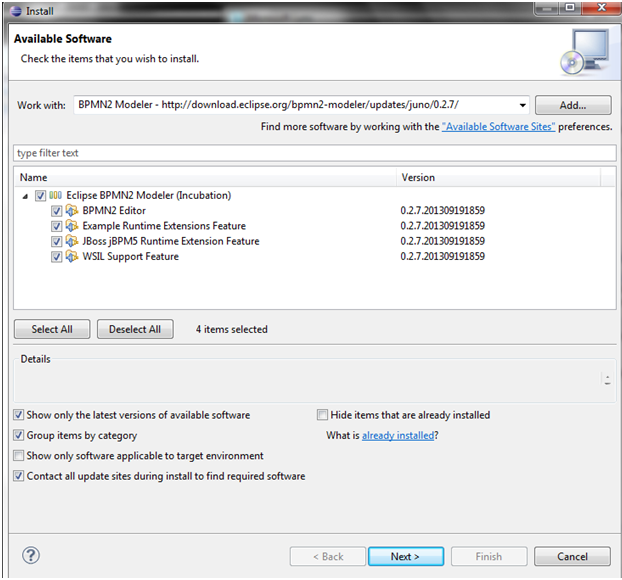 Follow the instructions provided in (jBPM6 - Tomcat 7 - Web Example) to configure JNDI. It should be noted that though the UI and REST API code is packaged using a single war file for the simplicity, UI component can be deployed on a different server. Here is example that shows how to use Local Human Task for task sevice in a web application instead of using task service based on Mina server. 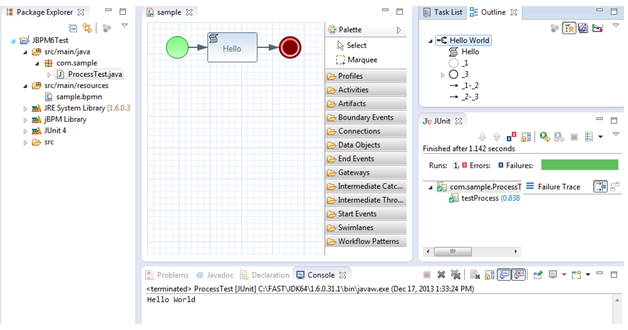 This blog uses the same example shown in http://community.jboss.org/people/bpmn2user/blog/2011/09/21/jbpm5-web-example. 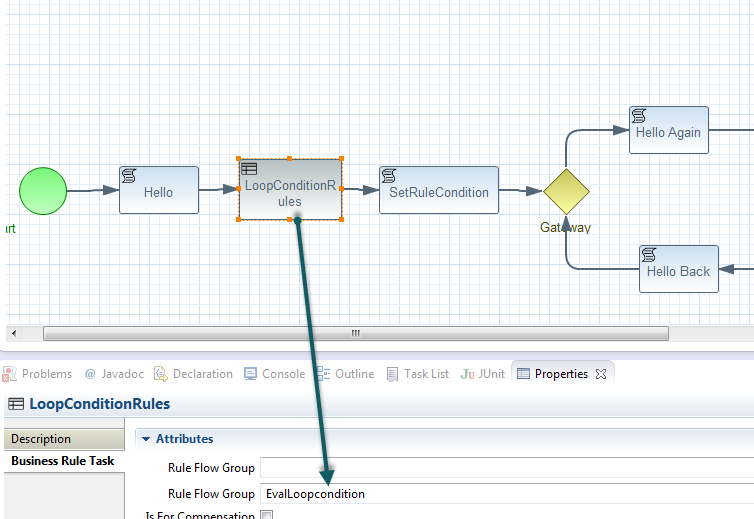 It should also be noted that this example uses 'DefaultUserGroupCallbackImpl' for user group managemnet. Any custom user group managemnt, such as LDAP etc, can be used. 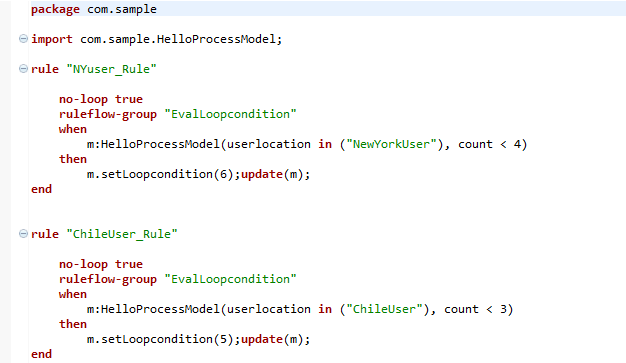 Here is the sample code to create the task service using Local Human Task. 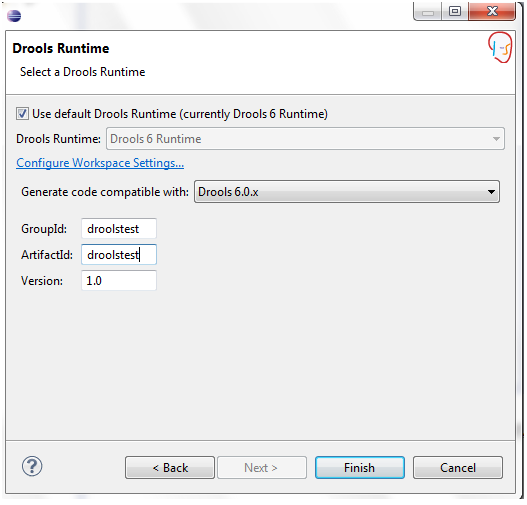 A process instance can be created by selecting 'CreateProcess' button. The tasks for the first user can be retrieved by selectig the button 'Select User'. After completing the task as the first user, krisv, it would wait at the second task, that needs to be approved by 'john'. It is also required to set datasource JNDI. 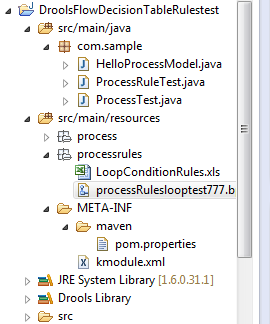 Refer to http://community.jboss.org/people/bpmn2user/blog/2011/01/21/test for the settings in Tomcat. 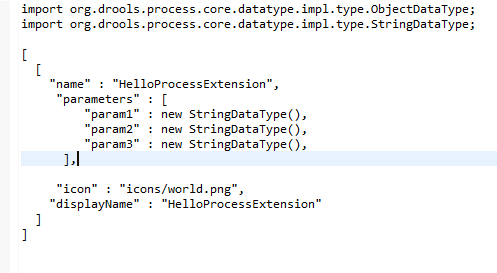 Update: This example has been updated for the version 5.4 and the modified code is included in the following attachment jbpm5.4webexample.zip. A local version of task service (LocalTaskService) is supported in the version 5.4 and it is integrated with the transaction of the process engine. 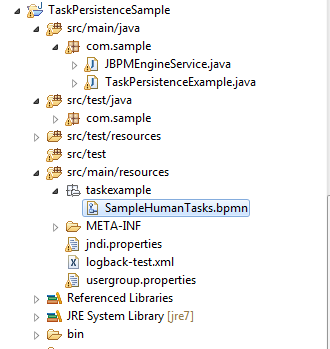 Here is an example that shows the usage of local task service instead of using Mina server as shown in http://community.jboss.org/people/bpmn2user/blog/2011/04/03/jbpm5-human-task-api-usage-example. This approach would give the ability to run the both task service and BPM processes in the same JVM, i.e., it does not require over the network Mina task service execution calls. This example requires JBPM5.2 release. How to install and run this example? Start with the JBPM plug-in setup as shown in http://community.jboss.org/people/bpmn2user/blog/2011/02/27/eclipse-plug-in-installation-for-jbpm5. Make sure jBPM5.2 libraries are used. Import the attached files into a JBPM project as shown below. Here is a simple human task that is processed using local task service. A local task service can be created as shown below. Following results can be seen after running the example successfully. 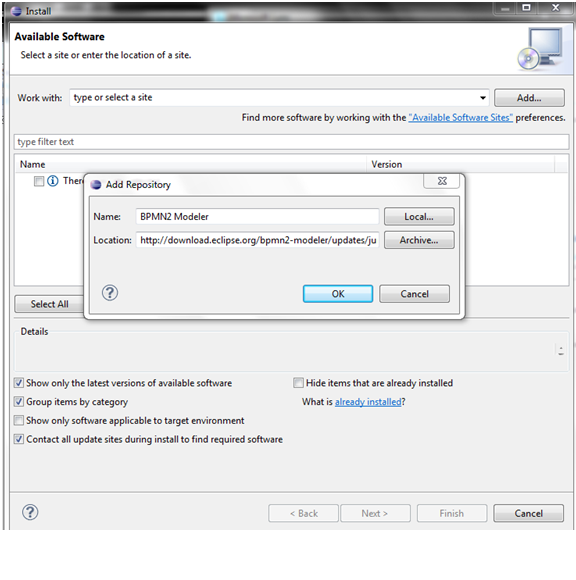 This example has been modified for the version 5.4 and included in the attachment JBPM5.4LocalTaskExample.zip. It has a few API changes. 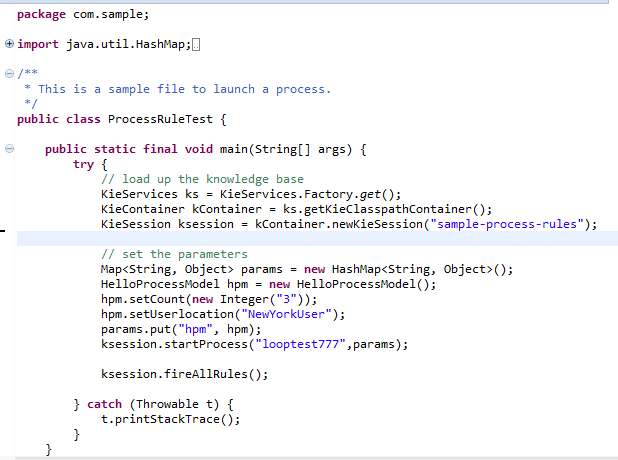 For example, SyncWSHumanTaskHandler in JBPMAPIUtil.java is replaced with LocalHTWorkItemHandler. 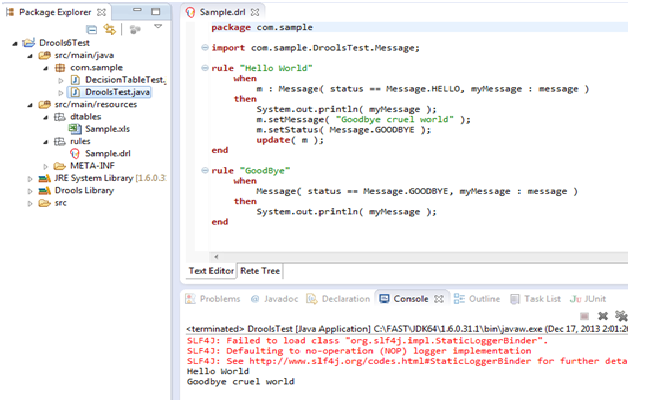 Here is an example that shows how to embed jBPM5 in a simple web application. 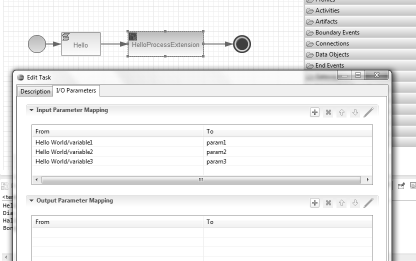 This example uses the same bpmn file used in the example -http://community.jboss.org/people/bpmn2user/blog/2011/02/21/jbpm5-example-for-forms-with-variables where JBPM5 console is used. 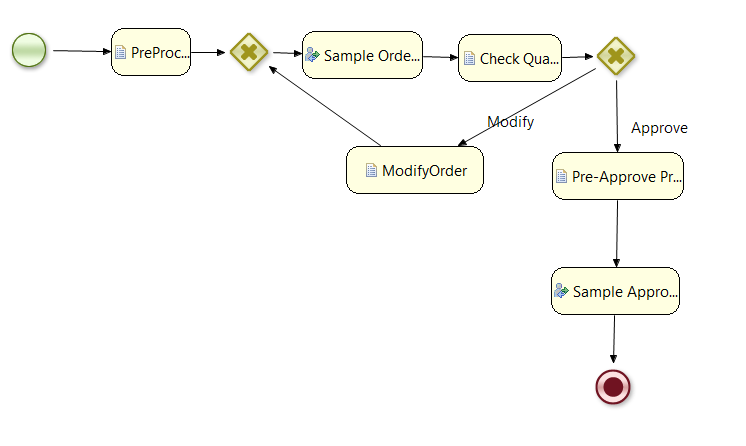 This example uses simple jsp/servlets to access BPM engine. One should note that any front-end (such as jsp,SpringMVC,Swing,GWT,Flex etc) can be used to access the jBPM engine using the API. 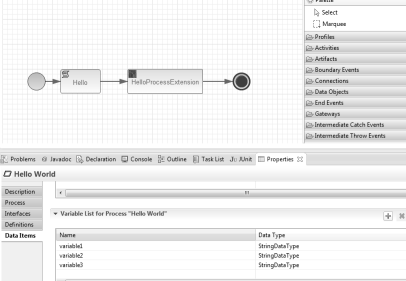 HumanTaskStartupServlet starts a sample database (H2) and Mina server for the illustration purpose. It should be noted that Mina server is typically started as a separate process. 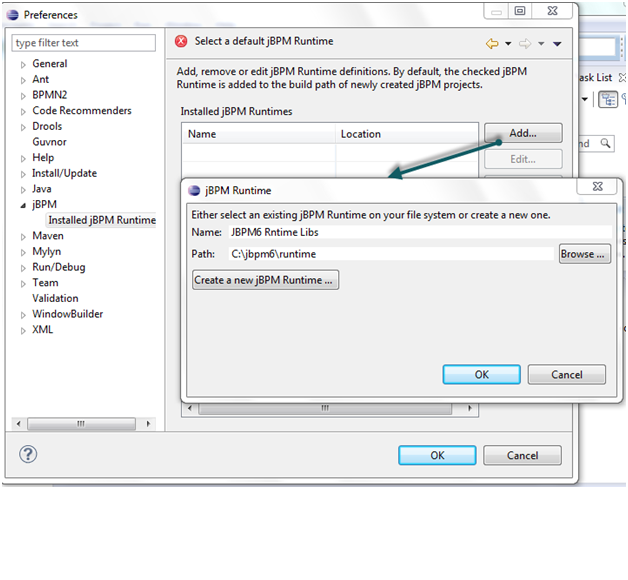 JBPM5 provides a web based console for human task management. One can develop forms using ftl templates using FreeMarker (http://freemarker.sourceforge.net/) and provide human task management (e.g., http://community.jboss.org/people/bpmn2user/blog/2011/02/21/jbpm5-example-for-forms-with-variables?page=2). 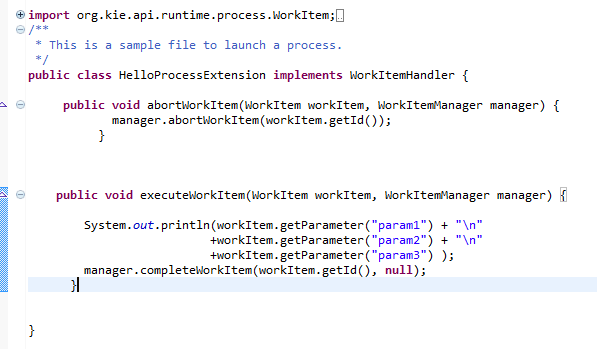 It should also be noted that one can process the human tasks through JBPM5 API. This gives the flexibility to use any front-end user interface that can interact with the JBPM5 runtime environment using API. 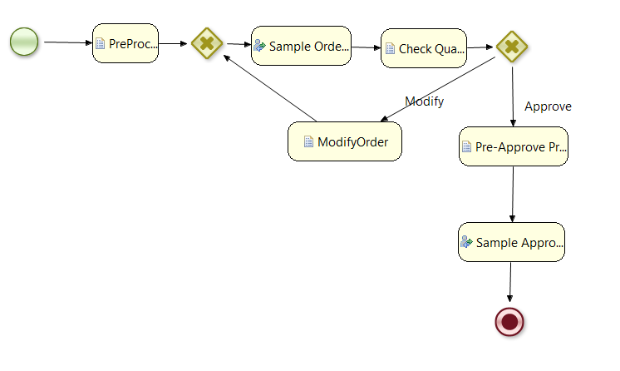 Here is a simple example that shows how to query the tasks, complete the task etc using the API. 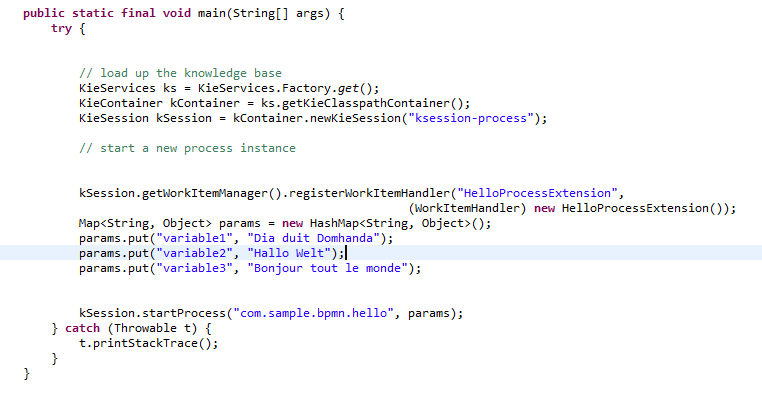 Start with the JBPM plug-in setup as shown in http://community.jboss.org/people/bpmn2user/blog/2011/03/25/jbpm5--persistence-hello-process-example. Import the attached files into a JBPM project as shown below. 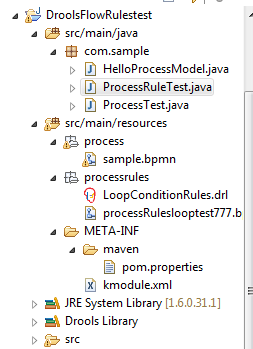 It has three Java files (JbpmAPIUtil.java has general API methods that are used in JBPM console, TaskServer.java for Mina human task server and ProcessTaskAPITest.java for making human task management API calls). Here is a simple human task that has input map data. This data typically entered in form. In this example, this data is sent using an API call. 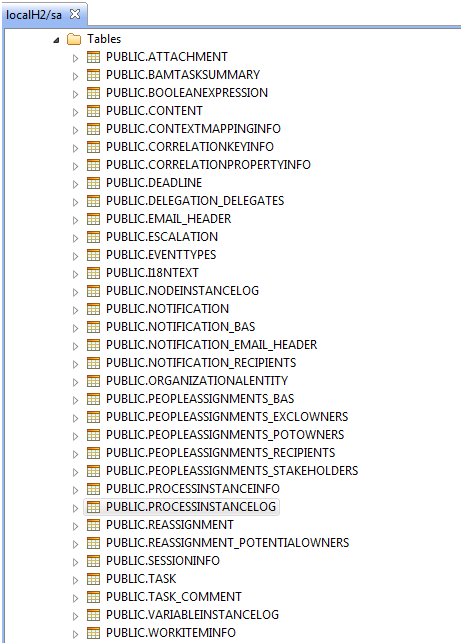 The list of tasks assigned to a user can be obtained using the following method. 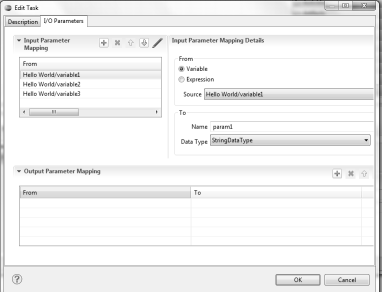 A task can be completed using the following method using taskid, user and data. 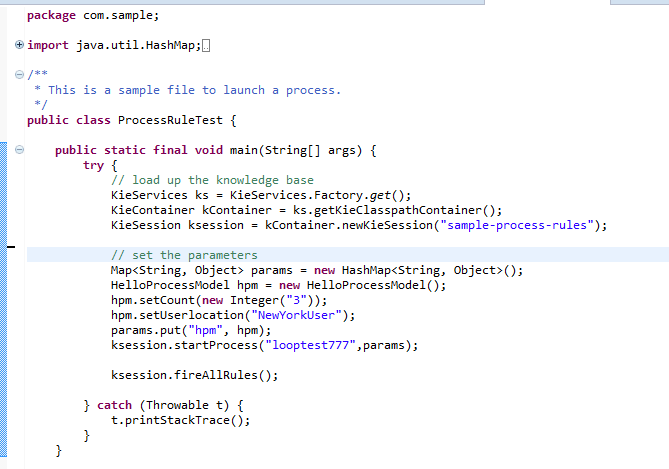 Start the TaskServer.java first and then run ProcessTaskAPITest.java to see the following results.